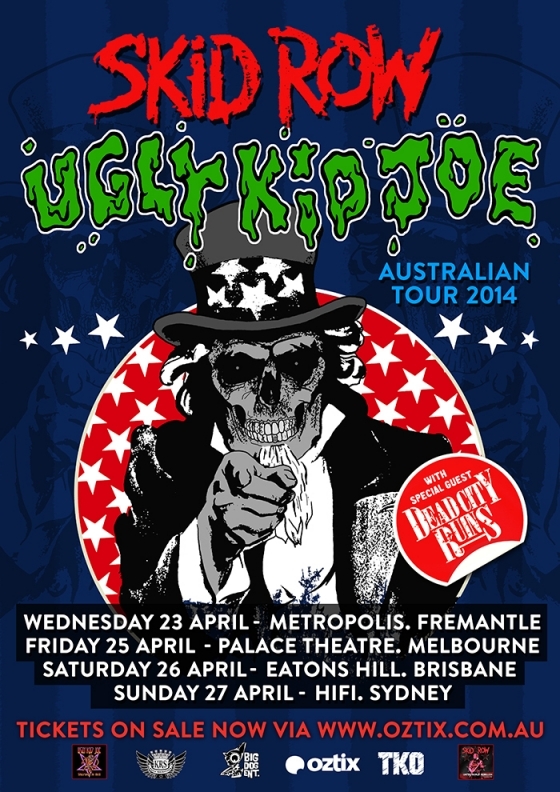 SKID ROW and UGLY KID JOE bring their co-headline tour to Australia in April 2014. The bands are currently touring Europe together having completed a hugely successful run of dates across the UK. With combined sales of millions of albums, each band will play a full set of the songs fans want to hear. The current tour is boasting sold out shows across twelve countries, Australia will be prove to be lucky thirteen! 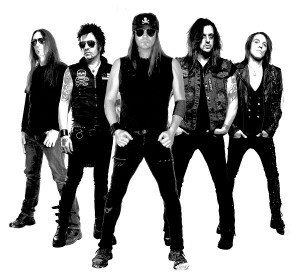 Lead by founding members Rachel Bolan, Snake Sabo, Scotti Hill, new drummer Rob Hammersmith along with powerhouse vocalist & fourteen year veteran of the band Johnny Solinger, SKID ROW will deliver the best from their catalogue of gold and platinum selling albums and anthemic singles like “Youth Gone Wild”, “Monkey Business”, “I Remember You”, “18 & Life” , “Slave To The Grind” and many more. They will also showcase tracks from their new mini-album United World Rebellion Chapter 1 which features songs such as “Kings Of Demolition” and “This Is Killing Me”, tracks which easily stand up along with the band’s classics. UGLY KID JOE’s Whit, Klaus and Cordell, along with Snot/ Sevendust guitarist Sonny Mayo and Zac Morris are back for their first Australian tour since 1994! Stairway To Hell, their first new music since 1996, will be released in Australia to coincide with the tour. The album features six brand new songs along with three acoustic versions of songs from their past. A special added bonus is a dvd of the band’s triumphant performance at England’s Download Festival from Summer 2012. 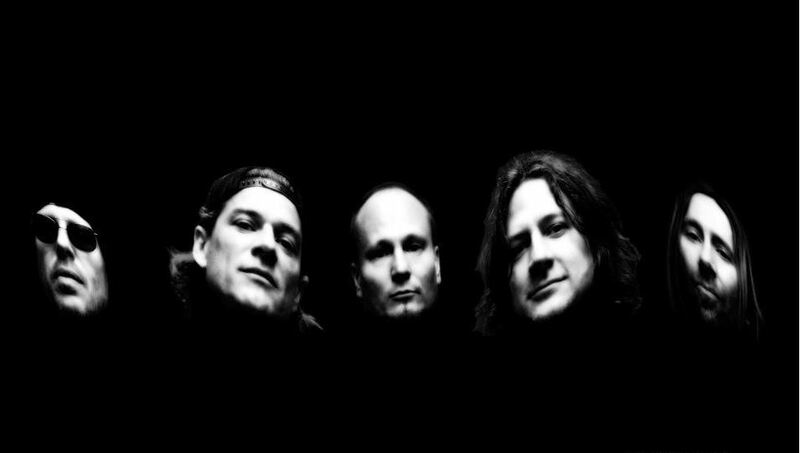 Tracks like “Everything About You”, “Cats In The Cradle”, “Neighbor” and “Milkman’s Son” continue to receive airplay around the world, while new singles “Devil’s Paradise” and “I’m Alright” show where the band are headed. Opening the shows are Melbourne’s own DEAD CITY RUINS who are also serving as the support for the European tour. Get there early as they are killing it every night.